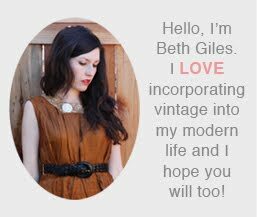 Vintage Clothing Blog | Vintage Wedding Dresses | Salvage Life: Salvage Life Grand Opening Party! 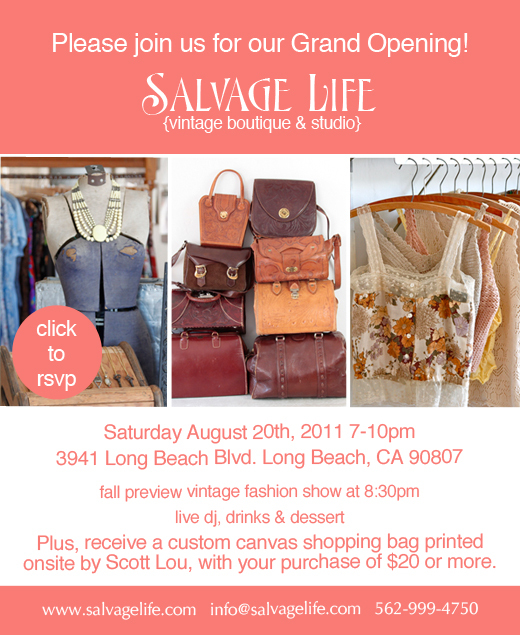 Salvage Life Grand Opening Party! I'm really looking forward to our Grand Opening Party! I've decided to do a little fall preview fashion show in the backyard while sipping drinks, eating dessert and listening to selected tunes from dj Pete Deeble. There will be lots of shopping to be done, of course, and if you make a purchase of $20 or more, you will get a custom canvas shopping bag. We'll have screen-printing duo Randy and Meghan of Scott /Lou on site to print your choice of design on your new bag. I will update you with more details as the day gets closer! To RSVP, click here.